I swear, I don't travel much. It may seem that way because I just came back from Las Vegas only a month ago (argh which reminds me I haven't blogged about the Las Vegas restaurants yet *sigh* backlog is me). But really, I usually don't go on vacation that often. Road trips maybe, but not in a plane kinda thing. Anyhoo, I will be in Chicago with my boyfriend for the long weekend! Leaving Friday morning and coming back Tuesday night. Actually, by the time you read this post I may be walking around Chicago already, or maybe still on the plane, or maybe still waiting to board at YYZ? Not sure. I ♥ Chicago! I've been there many times for work but never for leisure so I'm still very excited. My boyfriend has not been before (or maybe he did but when he was really young) so I'm eager to show him the Chicago, a city which I think is a hybrid of Toronto and New York; not as crowded as New York and with cleaner streets, but definitely a more beautiful version of Toronto. I can't get enough of all the incredible architecture and stunning lakeshore in Chicago, as well as the museums / aquarium / art institute / planetarium, The Magnificent Mile for shopping, and last but not least, the FOOD! Not sure if you have seen my extreme planning in action before but many of you may know that I'm a big planner who loves using Microsoft Excel and Google Maps. Don't believe me? 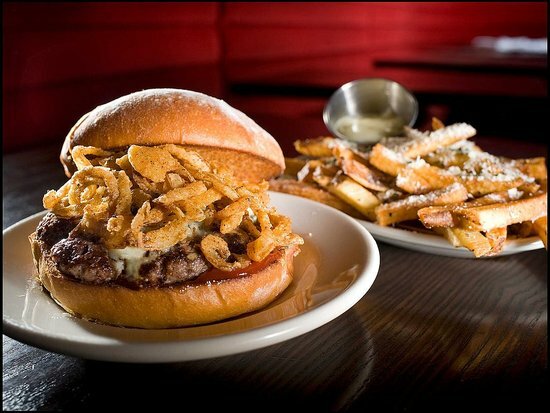 Check out my Montreal Bound post and my Diner's, Drive-ins and Dives Road Trip post (or simply just scroll down). So here goes for Chicago! First we have the Excel spreadsheet (I did not purposely use colours that match my blog but I really do love pink and purple ^_^). 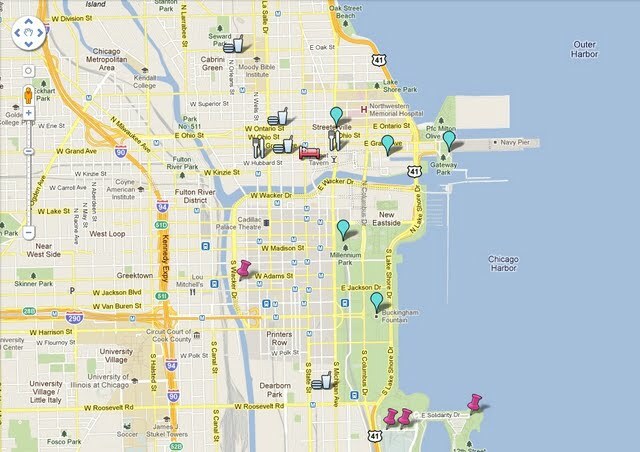 Blues are shopping / sight seeing, pinks are CityPASS attractions, and purples are restaurants. Google Map. 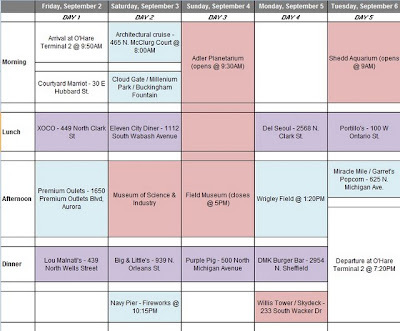 Planning for Chicago was a lot harder than the Montreal road trip and my Diners, Drive-ins and Dives road trip combined because we had a car for those, whereas for Chicago, we are relying purely on public transit, which means I had to make sure that the restaurants are on the way and what made the most sense. This of course also means that I had to forego many restaurants listed in Eater's 38 Essential Chicago Restaurants and restaurants listed in The Eater Chicago Heat Map. Ah well, life goes on. 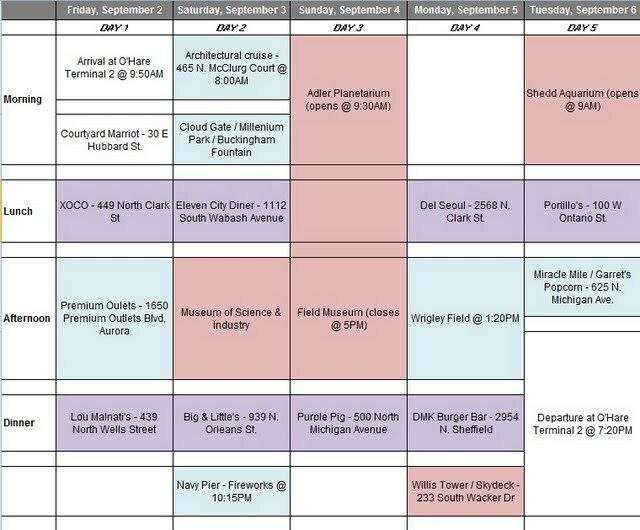 Nevertheless, here is a list of places that I'm planning to hit up in Chicago. It would be nice if we end up going to all of them but things change, circumstances change, so we may not end up going to ALL but I am going to keep my fingers crossed. 1. XOCO - A quick-service cafe from Rick Bayless that serves Mexican street food and snacks like churros and empanadas, Mexican hot chocolate (ground from Mexican cacao beans right in our front window), warm, crusty tortas (Mexican submarine sandwiches), and made-to-order caldos (meal-in-a-bowl soups) that feature everything from roasted vegetables to seafood to pork belly. 2. 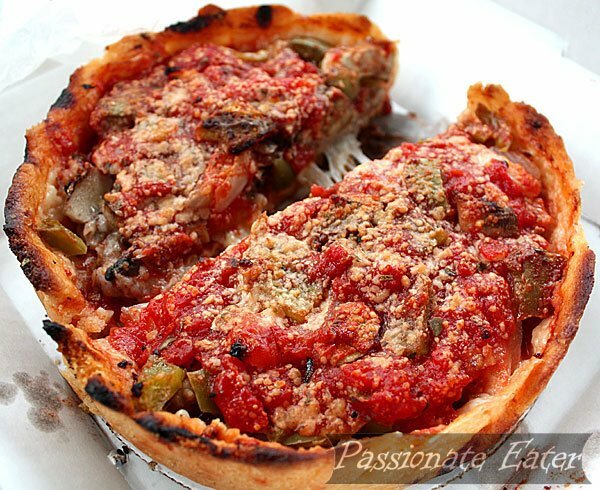 Lou Malnati's - Chicago-style deep dish pizza is a must! There are several places well known for deep dish pizza in Chicago but I picked Lou Malnati's. 3. Eleven City Diner - According to Gazette Chicago, "Fashioned as a replica of an 'old school dine' Eleven City Diner is authentic not only in its décor but also its menu. 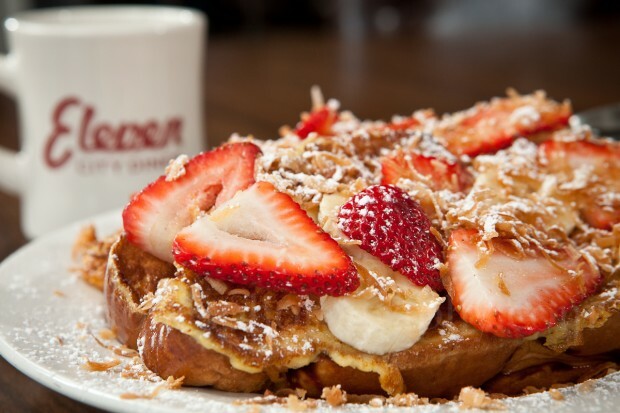 Breakfast is served all day as well as a bounty of Jewish delicatessen selection". Sounds good to me (I honestly just wanted to grab a quick lunch on the way to The Museum of Science and Industry from Millennium Park). 4. 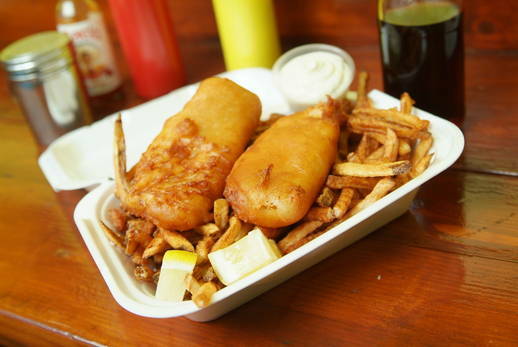 Big & Little's - Partners Gary Strauss and Tony D'Alessandro (from season six of Hell's Kitchen) serves fish and chips, grilled tilapia tacos and shrimp battered and fried to order at a tiny spot with only eight stools at the counter. 5. 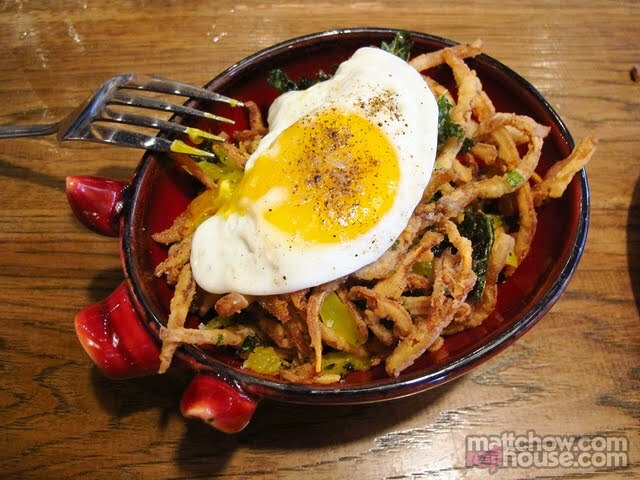 Purple Pig - Voted 1 of the 10 Best New Restaurants in America by Bon Appétit Magazine 2010, The Purple Pig is a collaboration of Chefs Scott Harris of Mia Francesca, Tony Mantuano of Spiaggia, Jimmy Bannos and Jimmy Bannos Jr. of Heaven on Seven. 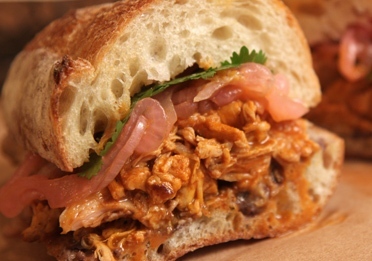 Featuring housemade charcuterie, cheeses and classic Mediterranean fare. 6. 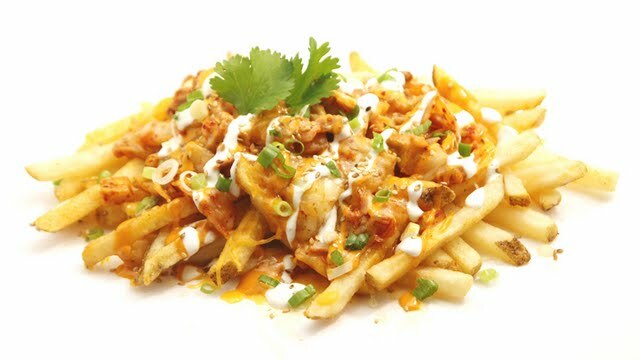 Del Seoul - A Korean taco joint with various kinds of BBQ tacos, Banh Mi's, and what I really want to try: Kimchi Fries with pork belly, onions, scallions, cheddar, jack, and sour cream. 8. Portillo's - I wanted to go to Frank 'n' Dawgs or Hot Doug's but again, too far for us especially for our last day in Chicago. With hot dogs on my mind I settled for Portillo's, a chain restaurant close to our hotel. 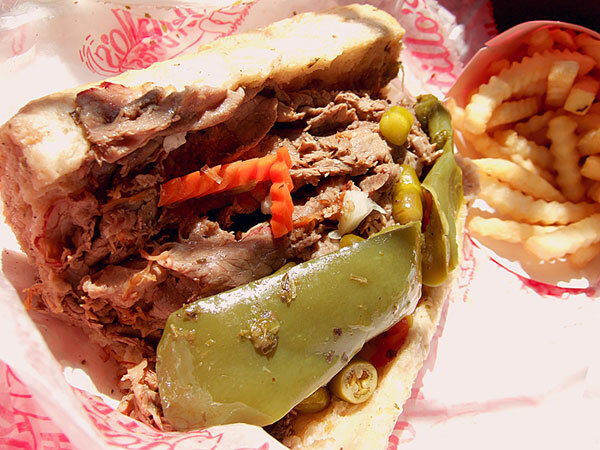 Portillo's doesn't offer cool hot dogs like the ones here at Frank 'n' Dawgs or here from Hot Doug's but Portillo's would have to do. 10. 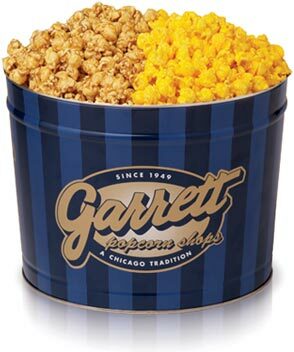 Garrett's Popcorn - Chosen as one of Oprah's Favourite Things in 2010 (not that I really care), Garrett's Popcorn is a Chicago Tradition since 1949. They have a lot of different flavours and I usually like to bring a small tin home. My next post will be on Friday, September 9th, where I will be revealing the lucky winner from the Table 17 Giveaway Contest. If you haven't entered yet, you can still enter now (the contest ends tomorrow, Saturday, September 3rd at 12PM)!